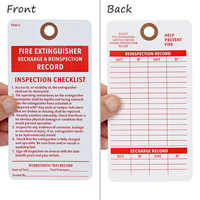 Make sure that your fire extinguisher will work well in an emergency. 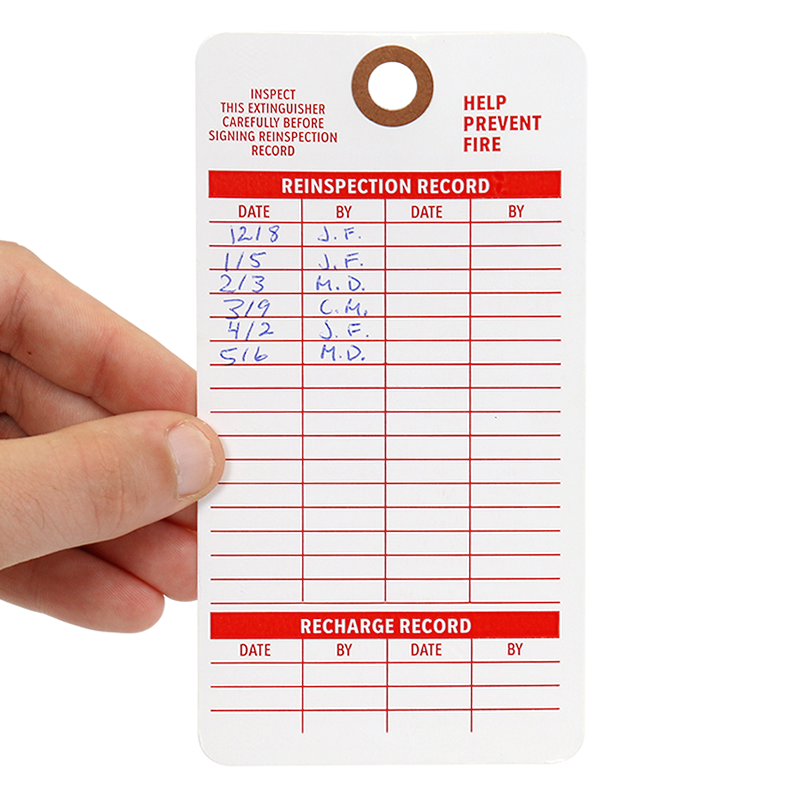 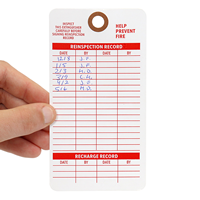 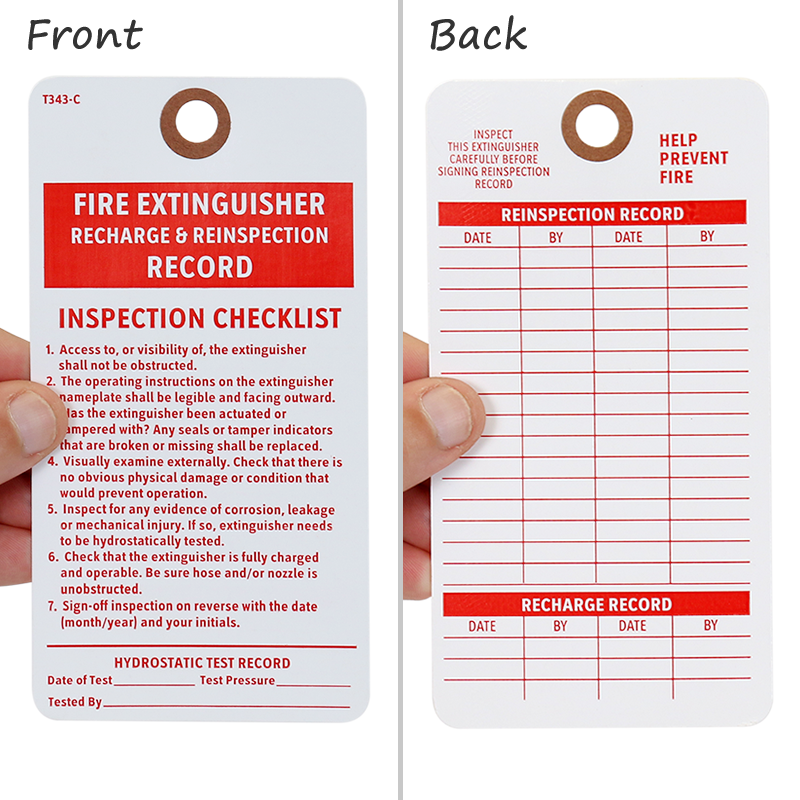 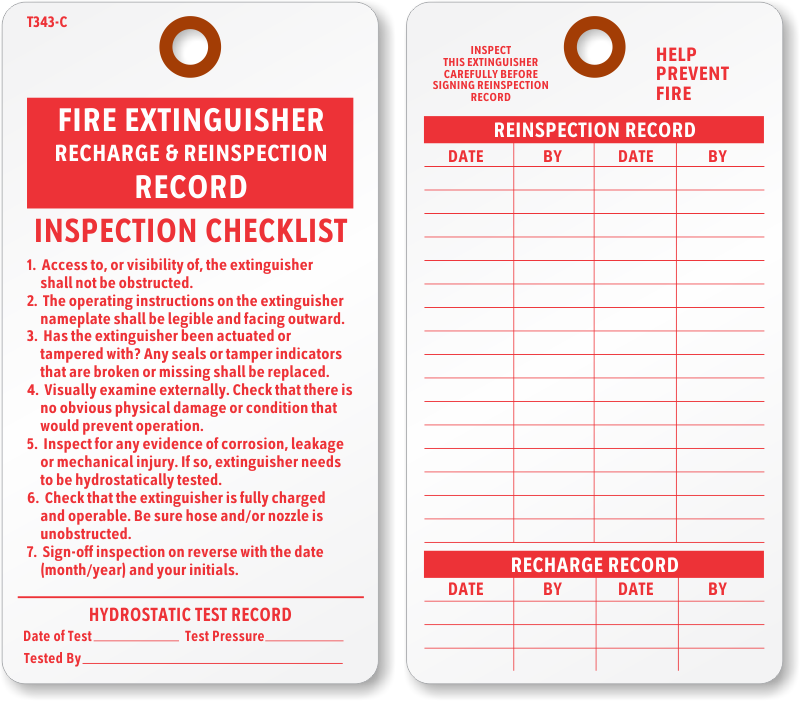 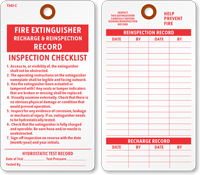 This tag provides a handy record of each reinspection and a checklist to make sure that the fire extinguisher is properly placed, charged and maintained. 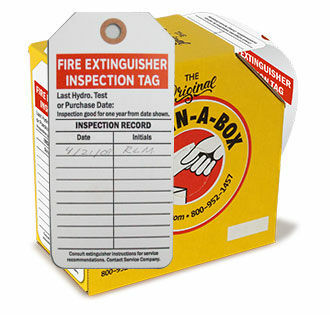 This product is just what we needed. 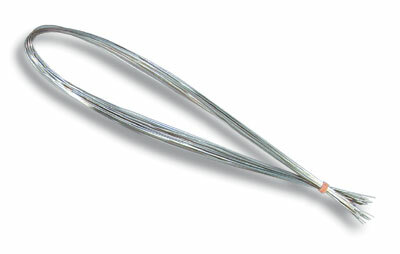 Arrived fast.